Strada builds on the successful design blueprint of our Dué AV loudspeaker. Think of Strada as Dué’s slightly bigger, beefier, better brother. 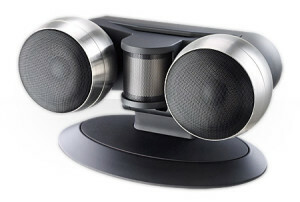 Based around two 5″ spherical mid-range enclosures as used in our class-leading A’Diva satellite speaker range. Strada harnesses the extraordinary midrange and top-end performance of the award-winning Reference 3 system. Impressive power handling, 89dB sensitivity, 80Hz-40kHz frequency response and textbook perfect dispersion enable this magnetically shielded speaker to shine in any room, and with any system. Available in two tweeter configurations to maximize treble coverage based on your specific installation requirements.